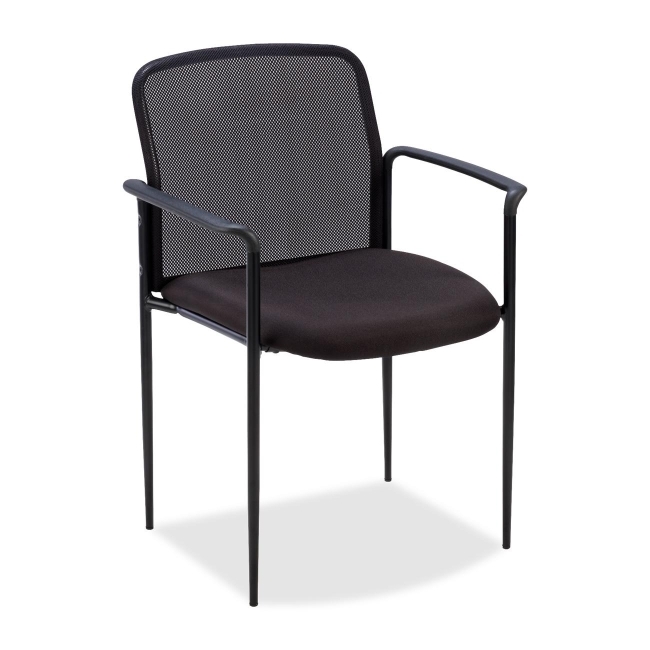 Reception side chair features a mesh back, molded plastic arms and painted tubular steel frame with four stylish legs. Seat offers a waterfall design for comfortable seating. Stack up to four high. Reception chair holds up to 250 lb.